← Go or no go? Today’s blog topic was suggested to me by my partner. Carolyn Vella, also known as my (significantly) better half. 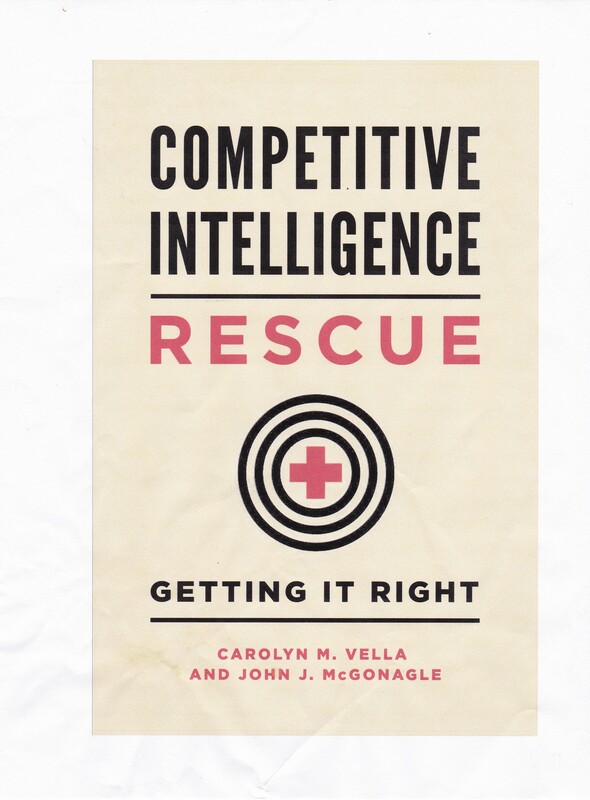 She pointed out that one of the problems those of us in competitive intelligence face, that is sort of invisible, is the problem of the client who thinks he or she knows what they need because he or she thinks they know what they are looking for. Let me give you an example: let’s say your client is General Motors, the car company, more specifically, an engineer at General Motors, has decided that the technology General Motors uses to build cars can just as easily be used to build, say, swimming pools, or cat carriers, or baby carriages. So the client commissions a competitive intelligence firm to give it the lay of the land in the competitive world of swimming pools, cat carriers, or baby carriages. For simplicity, let’s just say baby carriages. Now, the client has done no preliminary work whatsoever to determine whether or not there is any demand for baby carriages made with the same technology as the Chevy Volt. Rather, its engineers has assumed that, since their technology would allow them to build the product, necessarily there must be a demand for that product, so the only issue left is to determine what the competitive structure of the potential market looks like and then enter it. What’s missing here? The realization, recognition, and finally admission, that the client does not have any idea about the assignment which it is commissioning. Now the most unfortunate part of all this is when that “lack” is very often not communicated to the CI professional. When it is, it can easily be handled, as I note below. Rather, those commissioning the work come across as if they have already taken care of all the preliminaries, including at least some market research, and all that is needed is a good portrait of the competitive landscape, before launching the brand-new Chevy Volt baby carriages. What they’ve done is they’ve assumed that there is a market and that all they have to do is to position themselves in that market with their product. Now does that sound unlikely? It should, but it is not. This is why when you are doing any kind of competitive intelligence work whether it is for client, or for an associate and an internal team, you have to learn pushback. Clarity at the beginning can help to produce actionable intelligence at the end. A lack of clarity at the beginning almost certainly condemns the project to the graveyard of “nice to know” as opposed to “vital to the success of the next step”. “Was there a man dismay’d ?